KINGSTON JAMAICA 23 – 29 JULY 2007, JAMAICA CONFERENCE CENTER. From Judith Knight – participant. I just wanted to take a moment to thank you and your staff for pulling off a very informative, pleasant, and well-coordinated meeting. The willingness to fit in yet one more museum visit, or a side trip to somewhere because of membership requests, shows your dedication and commitment to making it work. You guys did it and I am among the grateful. Just being able to get back to you. First, Congratulations on a very well executed conference! Excellent teamwork! Coming back to France, l’d like to thank you so much for your welcome in Jamaica. Thanks and congratulations to you and all your team. It was a great congress and I enjoy it very much. The only regret I have is to have not enough time to visit your beautiful country. Hope to see you soon. I would like to thank all the JNHT staff who worked very hard – in fact extremely hard – to make this conference a success (See appendix 1 for a list of persons). In addition I thank the Minister of Tourism, Entertainment and Culture, the Honorable Aloum Assamba for contributing very ably to the opening exercises of the conference; the Board of Trustees who offered – from the very outset – all the necessary support, and especially the chair who was always encouraging, participated in the opening ceremony, presented a well received paper, and attended several of the sessions. One hundred and one abstracts were received before the conference covering eleven sessions (ninety four) and the two poster sessions (seven). Eventually some eighty nine (89) papers were presented and five posters mounted including three honoring persons who had made significant contributions to Caribbean archaeology including Professor Ben Rouse, Sam Bandara, Steve Shelton and Dr. Frank Kirby. One hundred and two persons (102) registered for the conference. The registration process went smoothly. All the services that were contracted were provided in a timely manner. These included provision of a mix of accommodation situations which turned out to be adequate: web page creation: interpretation and translation: graphics for the production of the logo, the provision of the conference bags and related paraphernalia, the banners and the design of the program book cover: printing of the conference book, transportation to and from the conference as well as for the tours: food and refreshment at various stages of the conference: the opening and closing ceremonies: the opening and closing receptions: the tours: provision of internet and copying services in the secretariat: first aid services, and a point of sale machine. The exhibition and merchandising segments of the conference were new features and were well received. 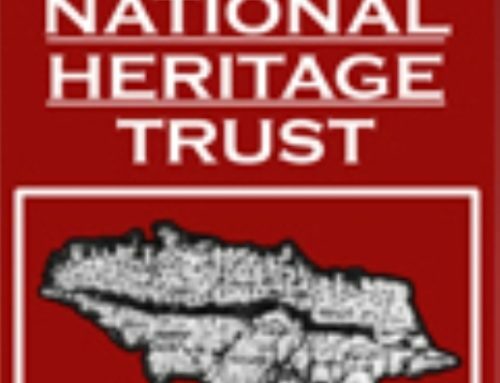 The JNHT sold a limited edition of branded conference mugs, tee and polo shirts, cultural bookmarks, and the registration paraphernalia that was left over including pens, pencils and the conference book. All the books that the JNHT sells were on sale including Spanish Jamaica. 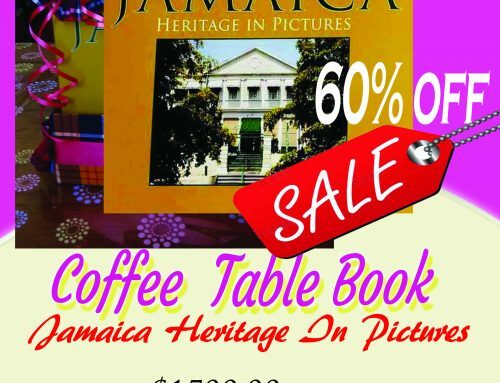 In addition the UWI press, the Historical and Archaeological Societies sold books. The UWI Press reported that they had an excellent conference in terms of sales. The three foreign publishers that had committed to sending books to Jamaica did so. A report on the sales of these books will be forthcoming. It needs to be remembered that all the books received have been added to the JNHT library. 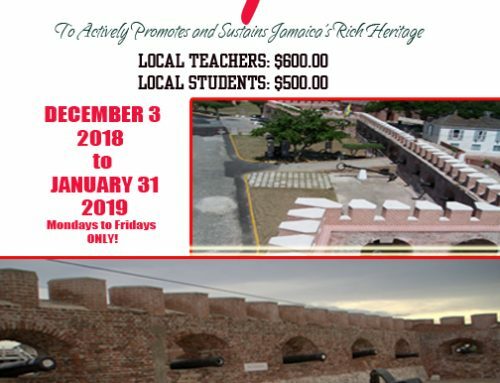 The tours were well attended and included a town tour of Port Royal, two trips to Mountain River cave with a stop at the Taino Museum in Central Village, a one day tour to Seville with a stop in the Spanish Town Square and at Faith’s pen for breakfast. The participants enjoyed themselves very much especially at the Mountain River where they were able to take a swim in the river after the hot walk to the site. Ashley Green, Michele Topping, Jasinth Simpson, Renee Evans.